When is a footie game life or death? When it’s vs scary mummies in Ancient Egypt. 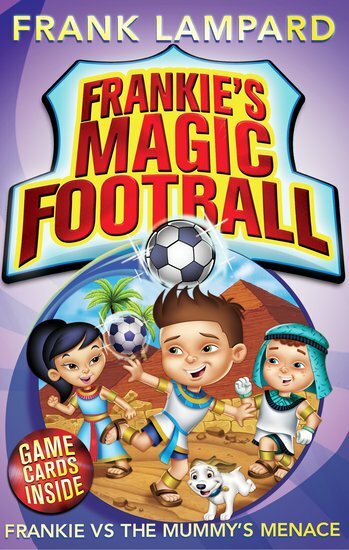 New from soccer legend Frank Lampard’s cool series of great reads for small footie fans like YOU. Frankie’s time-travelling football has led his team into some truly historic games. But this is the first time they’ve faced angry Egyptian mummies. Ulp. Bandages are just the weirdest footie strip! Chuckles, scares, amazing football and FREE game cards. Fantasy league reading.